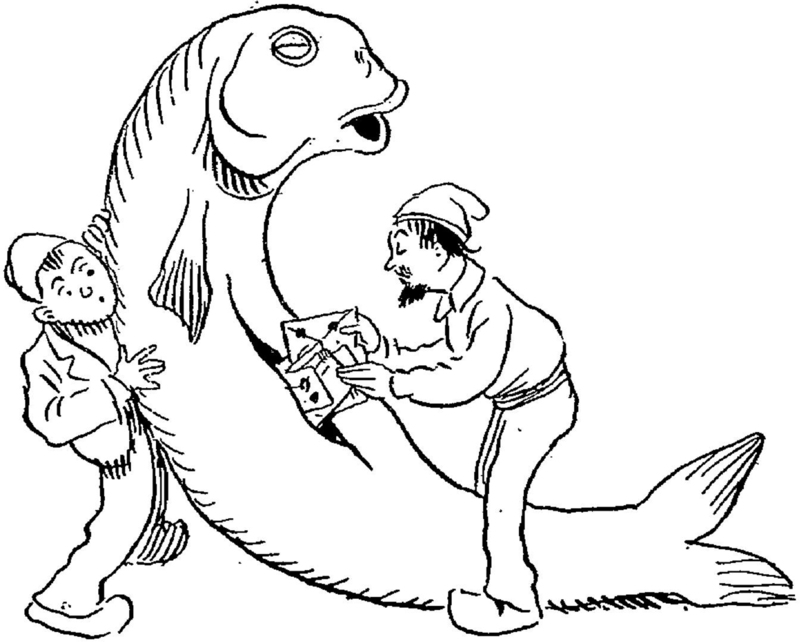 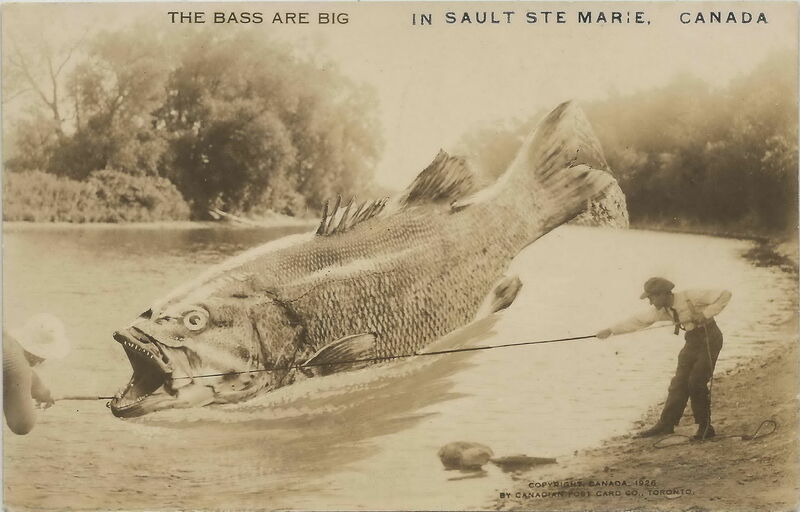 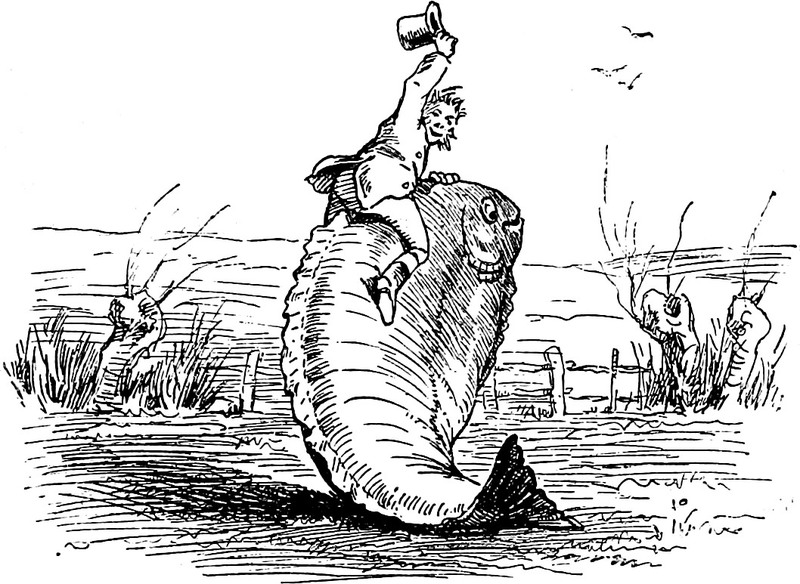 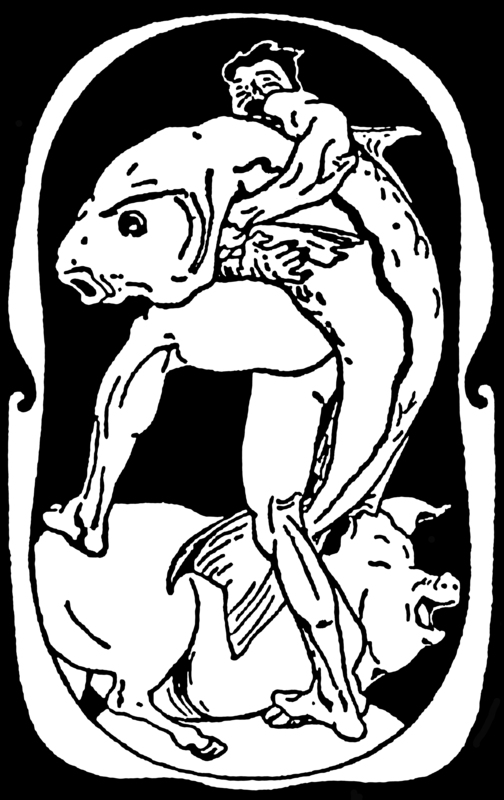 Hoisting a giant fish over a pig. 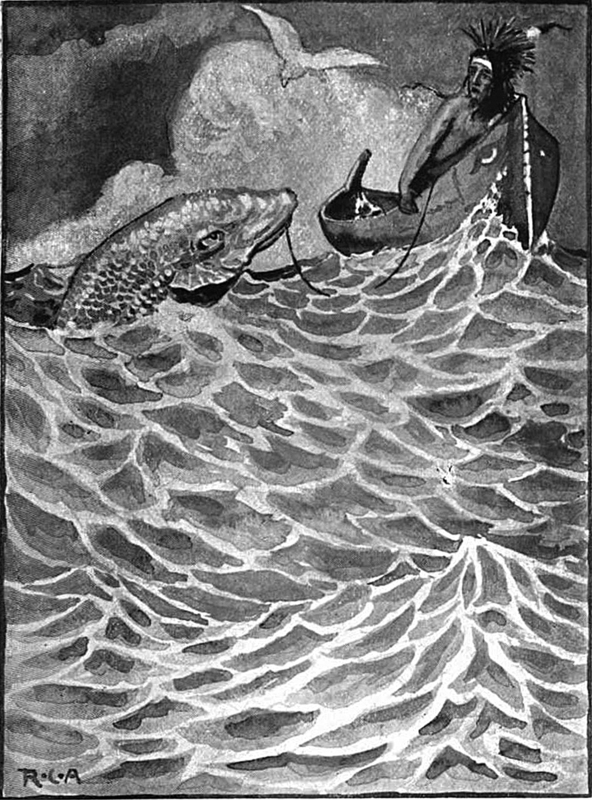 From Lustige Blätter, 1900. 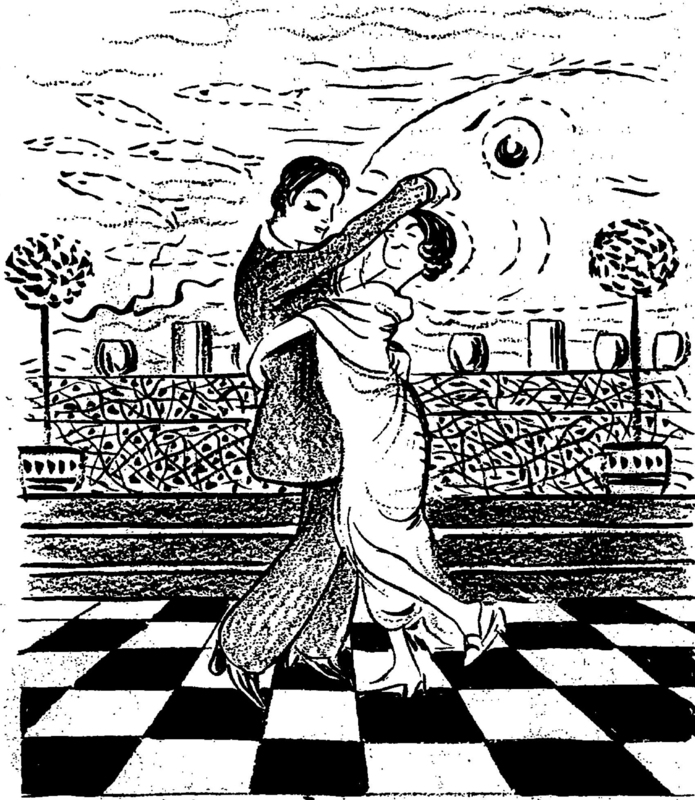 "Gazing all the while in silent admiration with his wide sea-green eyes upon his beauteous wife." 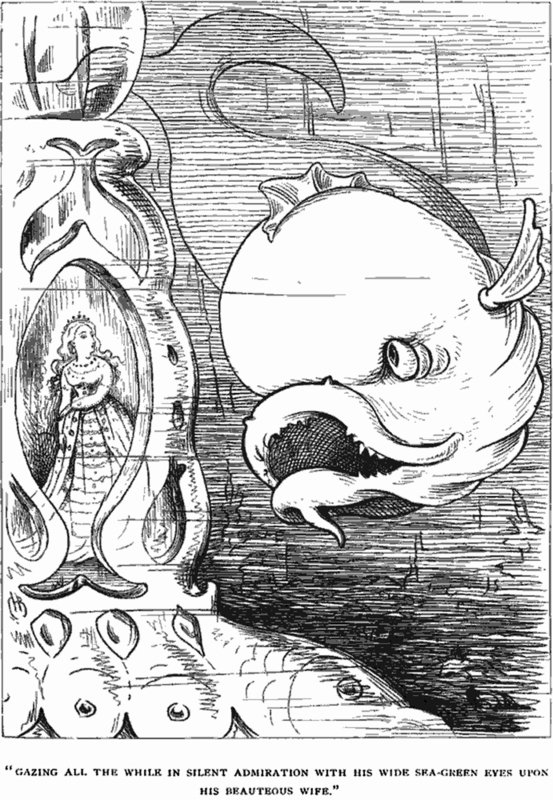 From Fairy Tales by Mark Lemon and illustrated by Richard Doyle, 1875. 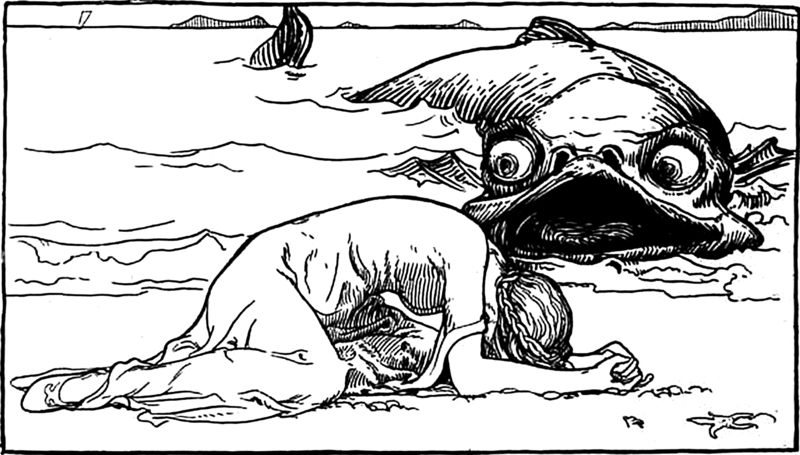 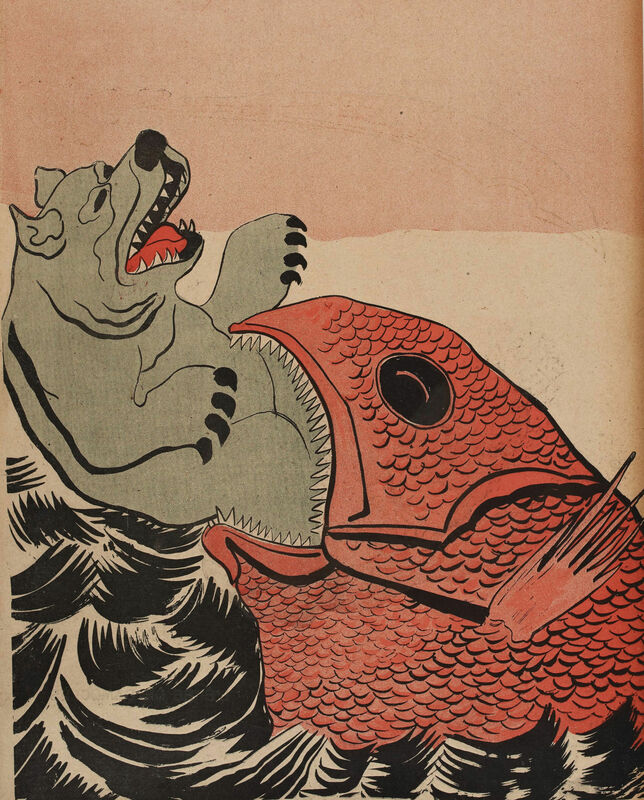 From Big Book of Fairy Tales, 1886. 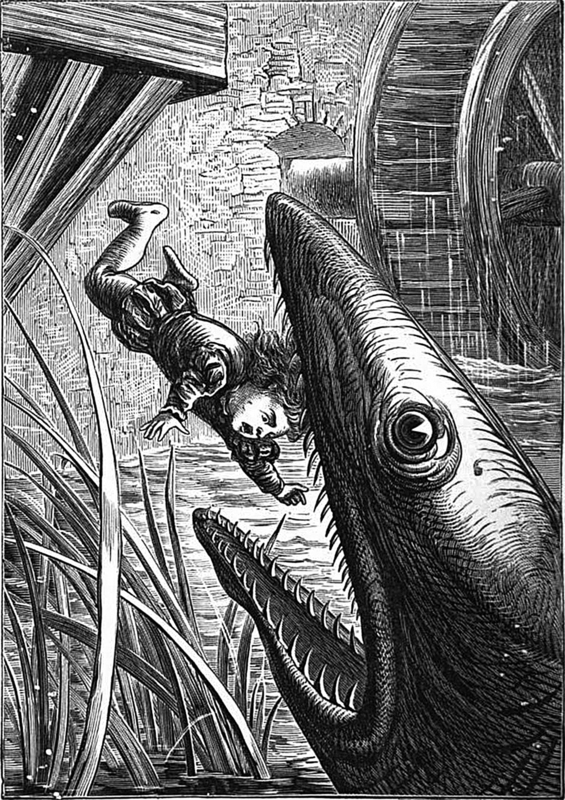 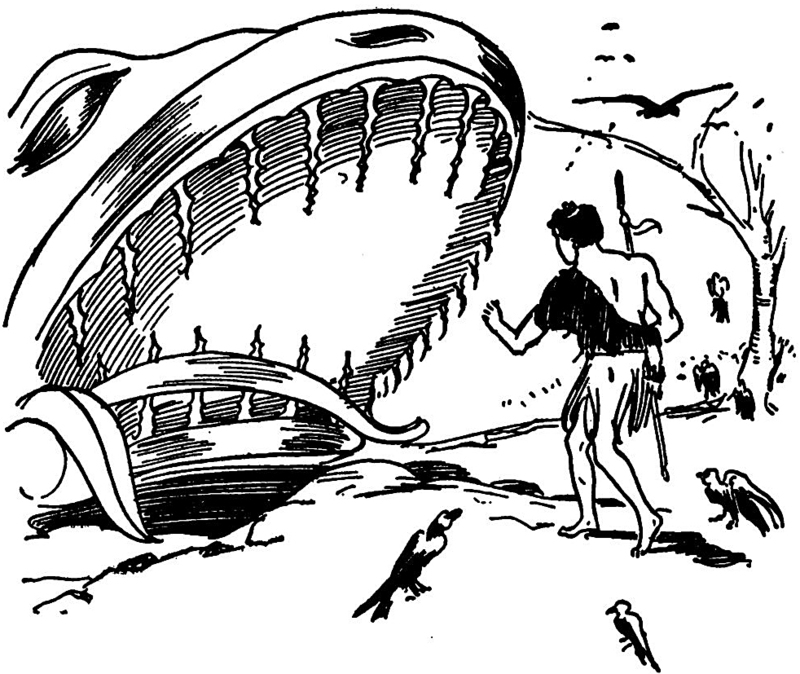 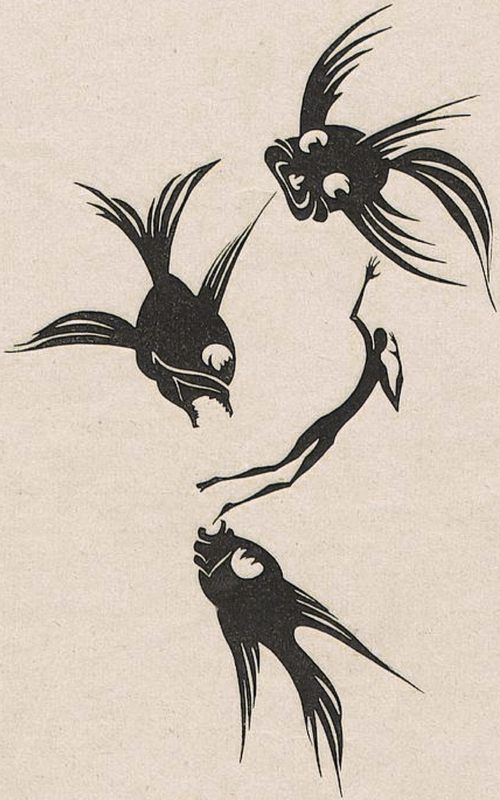 From The Magic Jaw Bone by Hartwell James and illustrated by John R. Neill, 1906. 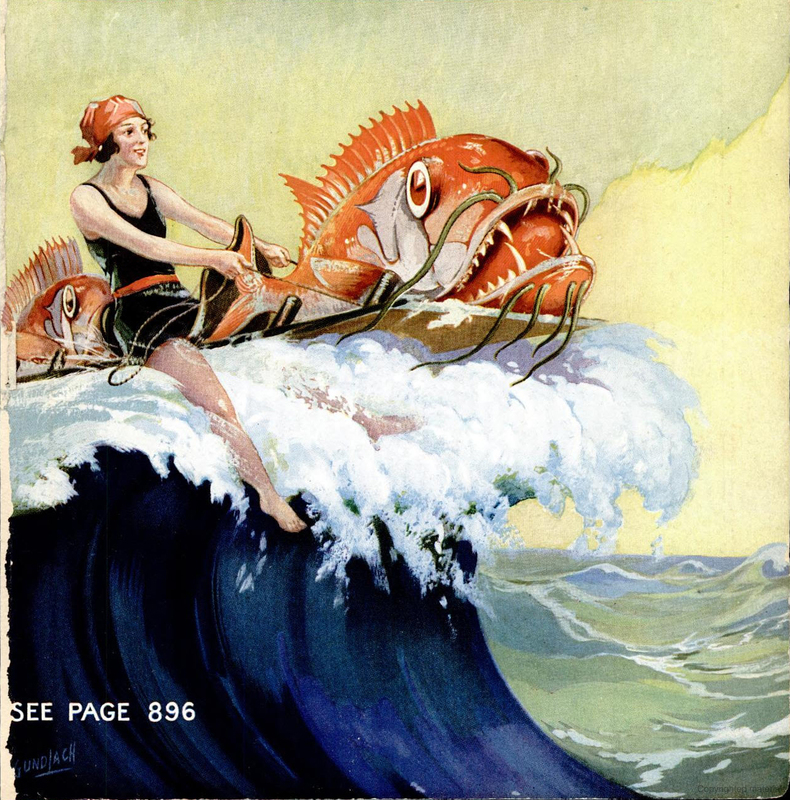 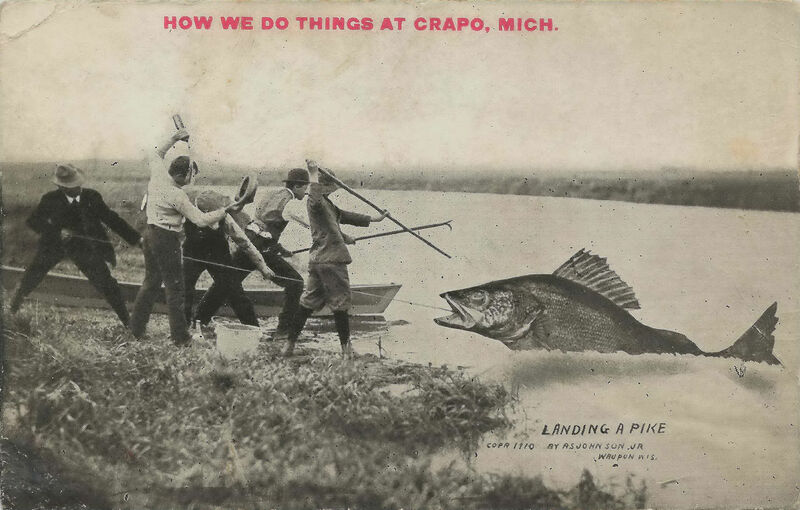 "How we do things at Crapo, Mich." From 1910.